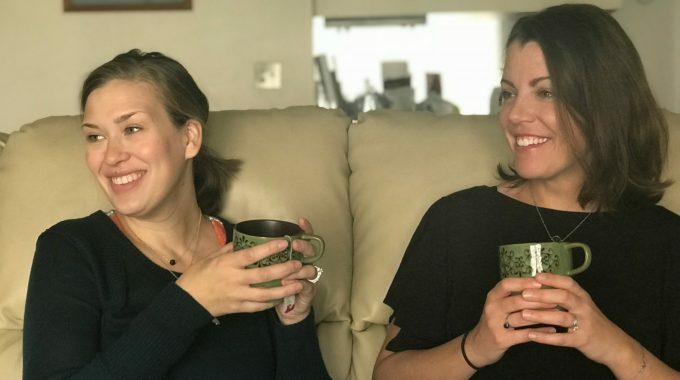 In this week’s episode, Cait and Kara chat about what we can do when our kids are curious about public school or maybe even feeling like they are missing out. 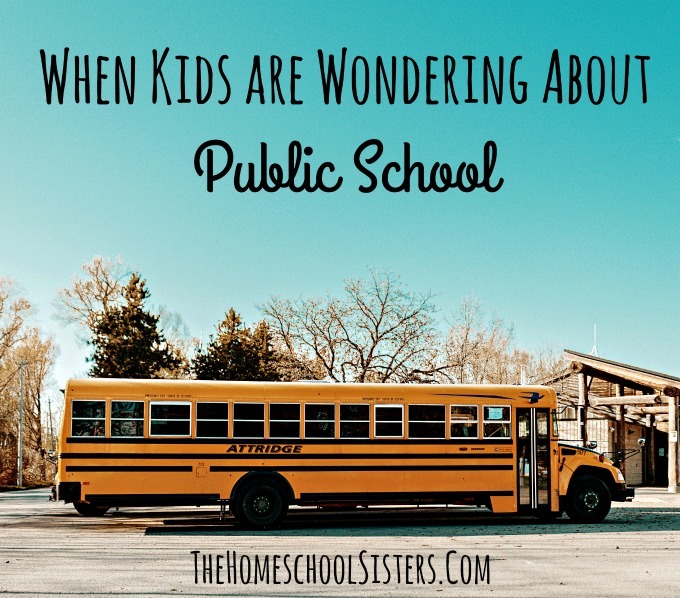 From making time for friends, to helping your kids take ownership of their homeschool experience, the sisters address the question: What do I do when my child keeps asking about public school? This episode is sponsored by Epic! and KiwiCo. 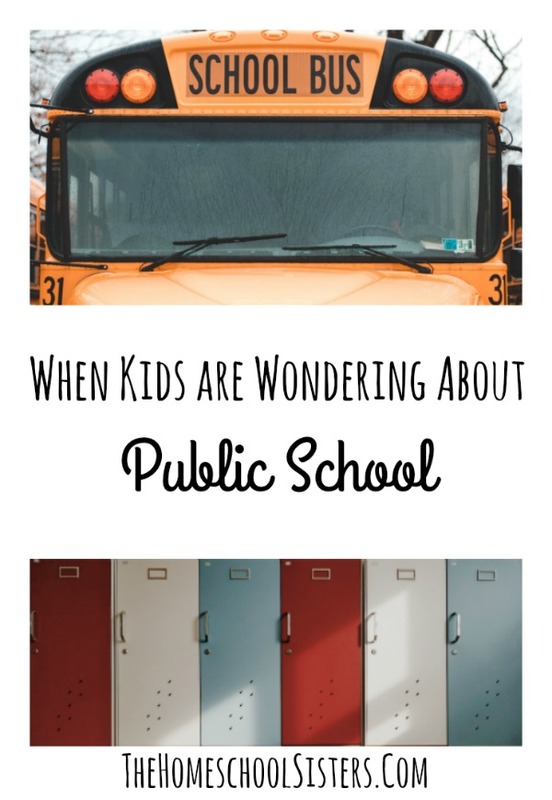 TELL US: Are your kids curious about public school? Share here! I loved this episode! 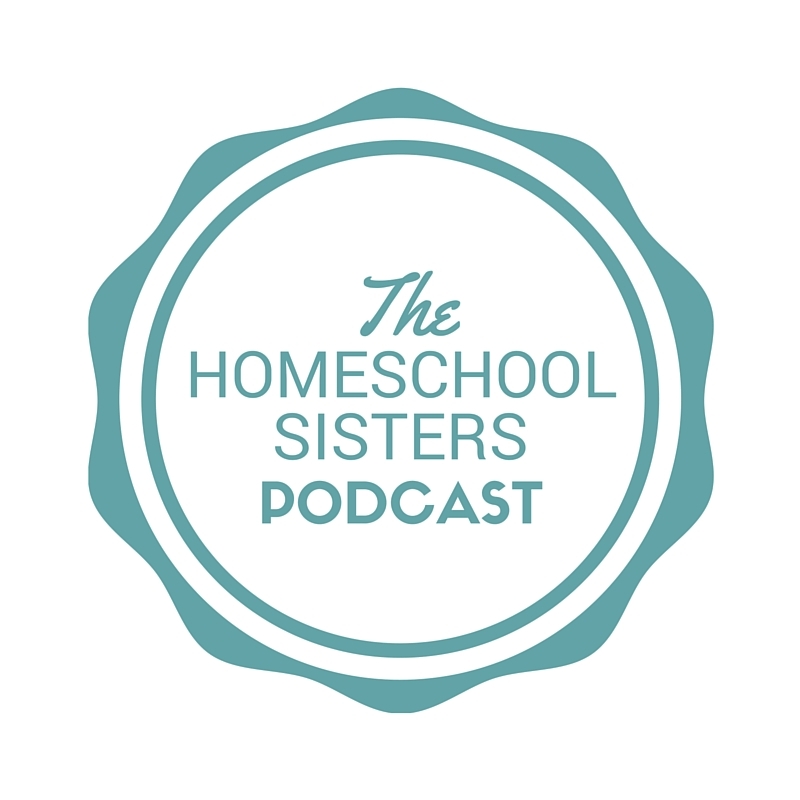 My older kiddo went to preschool, but we’ve homeschooled since kindergarten, and my younger kiddo has never been to school (we started homeschooling kindergarten with him this year). My daughter has a lot of friends who go to public school and I think sometimes she feels like she’s missing something, but we found a great compromise this year: a new co-op started in our area and we joined this semester. On the day we attend, classes are held in a local rec center that has classrooms, a hallway, vending machines, and a multipurpose room that serves as parent waiting area and lunchroom. On our first day my daughter came skipping up to me, gleefully shouting, “Mama! I feel like a real school kid with my backpack and friends and classes! And I even got some homework!” 🙂 She’s thrilled, I’m happy, my son is pleased to have some one on one time with me while she’s in class (he didn’t want to take classes yet, so I’m not pushing)–this introverted mama is exhausted at the end of the day, but it’s a really good thing for us right now. I do wonder, have either of you had to talk your kids through being mocked for being homeschooled? Most of my daughter’s public-schooled friends think homeschooling is cool and say they wish they could do it too (for various reasons), but recently one friend told my daughter she is weird because she’s homeschooled. Not sure what prompted it, and didn’t have a chance to dig deeper with the friend in question, but my daughter was really upset by it. I’ve been talking to her about it, but if y’all have had any similar experiences and can share how you handled them, I would love some advice, especially as I suspect this is not the last time something like that will happen.